By now, you have probably heard of Bitcoin, a cryptocurrency that is generating a lot of interest. However, how to use Bitcoin, what exactly it is as well as how to access and use the cryptocurrency, is still a mystery for some people. Keeping up with Bitcoin news and Ethereum news can seem overwhelming, as cryptocurrency value often fluctuates (much like more traditional currencies), but it is quickly becoming apparent that understanding cryptocurrency is a necessary skill for savvy investors in the twenty-first century. Like more traditional forms of currency, Bitcoin can be used to pay for goods and services. However, unlike more traditional forms of currency, but you are never going to see or touch a bitcoin. It exists only in virtual spaces, although it can be used to pay for items in the physical world. Bitcoin is a cryptocurrency, a digital asset that is designed to use cryptography to secure its transactions, to control the creation of additional units, and to even verify the transfer of assets. Bitcoin, the first decentralized cryptocurrency, was created in 2009. Since then, other cryptocurrencies have been created, allowing individuals to use digital assets to pay for goods and services. Cryptocurrencies are quickly gaining popularity in some circles. To use Bitcoin, or other cryptocurrencies, one must download a “wallet” application. These allow users to track balances and transactions. To add to your balance, you can purchase Bitcoin using a credit card, or via a Bitcoin Exchange in which you can easily and quickly set up an account and purchase bitcoins with money from your bank account or credit card. While Bitcoin is a currency unlike anything we have ever seen before in human history, the same precautions we use to ensure the safety and privacy of banking with more traditional currencies apply to cryptocurrency transactions. Treat your account’s private key in the same way you would the password to your online banking account. Always keep your private key, which allows you access to your cryptocurrency, private—do not share this information with anyone. be sure to backup your wallet’s private key, and any other related credentials, for offline storage in a secure location. If you fail to backup your information, you risk losing your Bitcoin holdings. 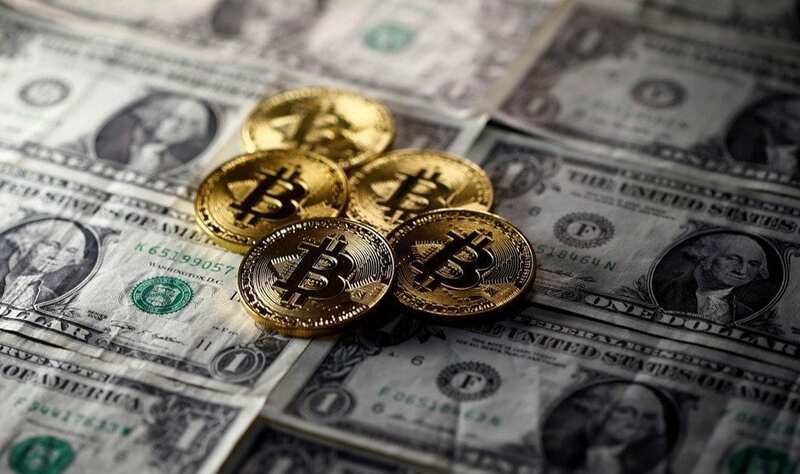 Although Bitcoin can be used in a way similar to more traditional currencies, it is notably different in some important ways that directly impact how the cryptocurrency is obtained, valued, and stored. Bitcoin, and other cryptocurrencies, lack a central regulation, and function under decentralized control and without a central banking system. This is one of many ways in which cryptocurrency can be confusing and so outside the normal way we conceptualize currency. In fact, a cryptocurrency’s nature as a decentralized currency is central to how they are used. This decentralization is related to the use of Bitcoin’s blockchain transaction database, which functions in the role of a distributed ledger. Users access cryptocurrencies through platforms; these digital monies must be purchased and sold via an online exchange. Ethereum, a public, open-source blockchain-based distributed computing platform, is one way in which individuals can obtain and use cryptocurrency. Bitcoin is backed by a blockchain, a platform that allows digital information to be distributed but not copied—and it is also is purportedly incorruptible and transparent. The blockchain network exists in a perpetual state of consensus. It automatically checks itself every ten minutes; these transactions are called “blocks.” Blockchains are unique because transparency data are embedded within the network, making it, by definition, public. Thus, blockchain users can have some peace of mind when using it. Additionally, a blockchain cannot be corrupted; any effort to alter information on the blockchain would entail using a considerable amount of computing power to override an entire network, which, according to some, is unlikely to occur. The blockchain potentially reduces, or eliminates, the need for a middleman for types of transactions. Additionally, programmers have created graphical user interface (GUI) that work with blockchain to provide “wallet” applications, which store Bitcoin and other cryptocurrencies. Is cryptocurrency the future? Should you be keeping up with blockchain news? Simply put, the blockchain might be the future of finance, providing innovative ways of conducting business, including international remittances. The World Bank estimates that, in 2015 alone, over $430 billion US in money transfers were sent—if even a fraction of that money is transferred via blockchains and cryptocurrency at some point, this could be a revolution in the finance industry. Blockchain could very well end up being the future of finance, as could cryptocurrency in general. Does all of this sound like a great investment plan, but is investing in cryptocurrency itself seems too potentially risky? You can buy blockchain stocks without having to invest in Bitcoin stocks or Ethereum stocks. There are ways to get involved in this exciting new technology. 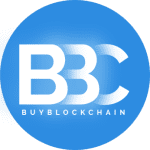 Several publicly traded blockchain stocks exist, including BTCS, Inc., the BTL Group, Coinsilium, and DigitalX. If you would like to add blockchain stocks to your investment portfolio, you could be at the forefront of a new world of currency, witnessing the groundbreaking ways in which cryptocurrency are shaping the twenty-first century economy.